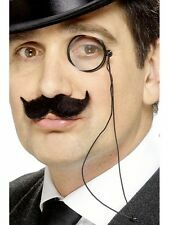 Smiffy's black monocle eye glass on black cord. 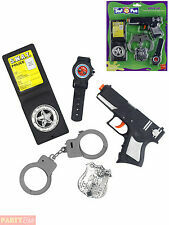 Includes a plastic gun, a pair of handcuffs, a Police badge and a watch. Image for reference only, bundles and options can vary. Book Week Halloween Christmas. This set is suitable for ages 3 years . Smiffy's high quality bright neon pink sun visor. 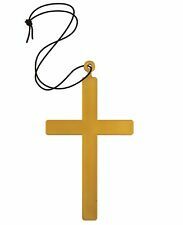 Smiffy's unisex large silver ornate religious cross fancy dress necklace. Cross size 15cm x 10cm/6" x 4". Ladies cave woman 'Voodoo' jewellery set. Includes: white fang and bead necklace, bracelet and clip-on earrings. Perfect for Hawaiian. Sea Shell Bra. Plastic Sea Shell Bra. All your party Needs 😊. Once your order is paid for it is passed to us through an automated system for processing. - Cash on collection. - Credit/Debit Cards. WILD WEST 2 GUNS & HOLSTER - COWBOY INDIAN FANCY DRESS. Smiffy's high quality unisex shell bra. 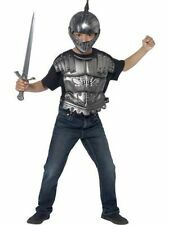 Includes:- 1 x Weapons set with sword & shield. High quality Face Gems that are easy to apply and look amazing for Festivals, Parties and going out. 12 x Ice Blue. Dress as your favourite character. 12 x Pink, 14 x Light Pink. Transform your look. Includes Dictator Overhead Mask, Flesh, Latex. 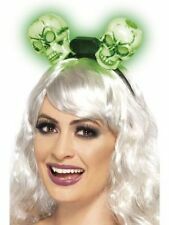 This item is part of the Smiffy's Funnyside Fancy Dress and Around The World ranges. 1 gold plastic chunky chain (one size). EVERY item is checked by hand prior to dispatch.Read MoreRead More. Got a Hen party planned?. 14" x 1.5". Masks & Wigs. Hawaiian Halter Neck. Hawaiian top with attached flowers. Halter Neck Top. We will always strive to solve any issues you may have. Pink or purple chosen at random from supplier. One size fits up to a size 14. Water Pistol Cowboy Set with Holster and Belt. 2 x Water Pistol Cowboy Guns. 1 x Holster. Toy Fake Guns. Dress as your favourite character. Classic accessory. / Error: Error with API /. Smiffy's high quality long black cigarette holder. Length 11.5"/29.5cm. Caveman's Club, Brown, Squeaking. You may use the model cancellation form at the end of these instructions, but it is not obligatory. Image Gallery. B Model Cancellation Form. PLASTIC TOY SICKLE. The sickle is made of plastic and is a great accessory for fancy dress. 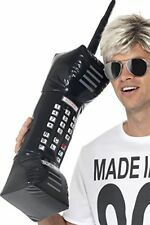 An excellent item for fancy dress. 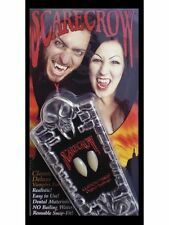 Teeth and Fangs, Assorted Styles, White, 9. You may use the model cancellation form at the end of these instructions, but it is not obligatory. Image Gallery. B Model Cancellation Form.